Nerve cells grown on a microchip have been shown to learn and memorize information, according to researchers from the University of Calgary. 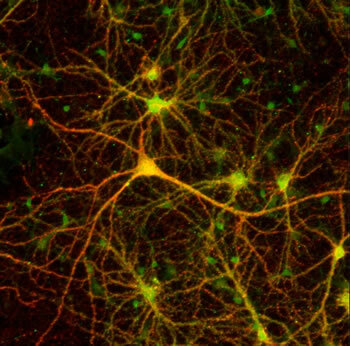 Naweed Syed, co-author of the study, said that the nerve cells exhibited memory traces that were successfully read by the chip. The team cultured snail nerve cells and put them on a silicon chip. Using a microcapacitor on the chip, scientists stimulated one nerve cell to communicate with a second cell which transmitted that signal to multiple cells within the network. A transistor located on the chip then recorded that conversation between cells. Science fiction fans may be familiar with smart gel from Peter Watts' 1999 novel Starfish, which is very similar. Read more at Nerve cells grown on silicon and Snail brain cells able to network on silicon chip.